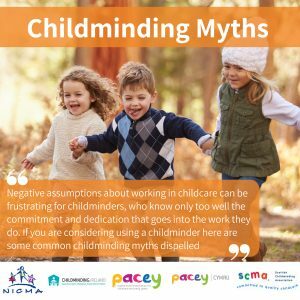 Negative assumptions about working in childcare can be frustrating for childminders, who know only too well the commitment and dedication that goes into the work they do. 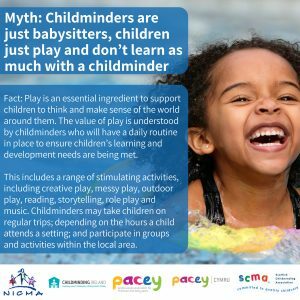 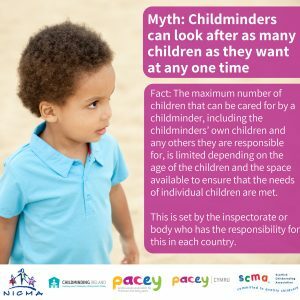 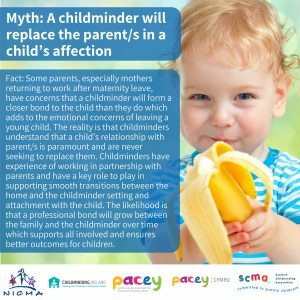 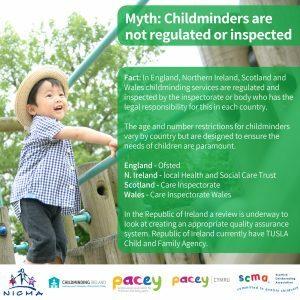 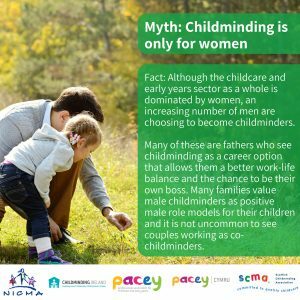 Childminding Ireland has joined forces with four leading childminding organisations within the United Kingdom and Ireland to launch a campaign that dispels some controversial and frustrating childminding myths. 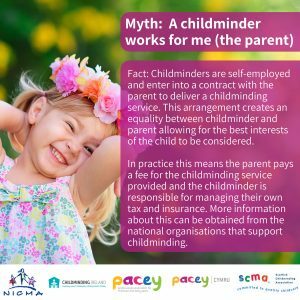 It is important that parents are aware of the facts when choosing a childcare provider that suits their family needs. 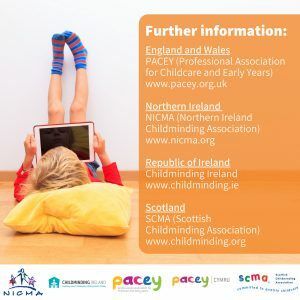 Click here to view the videos for the campaign.